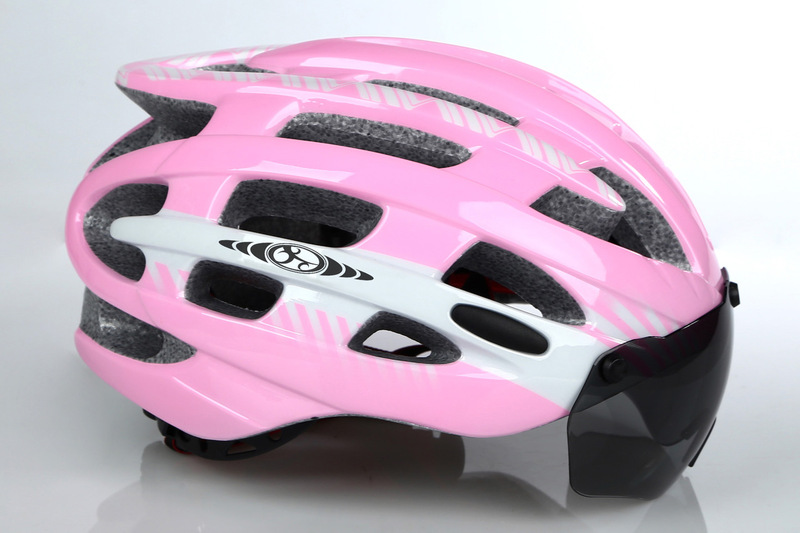 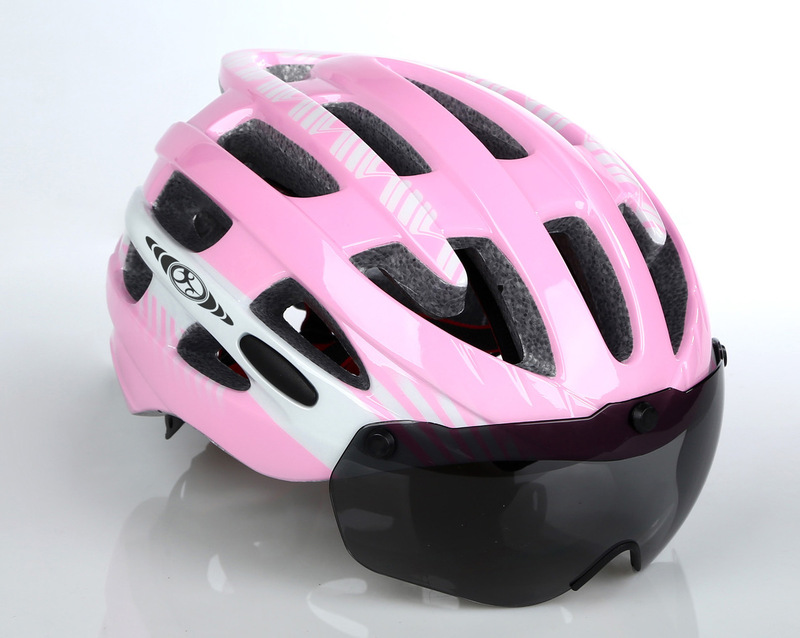 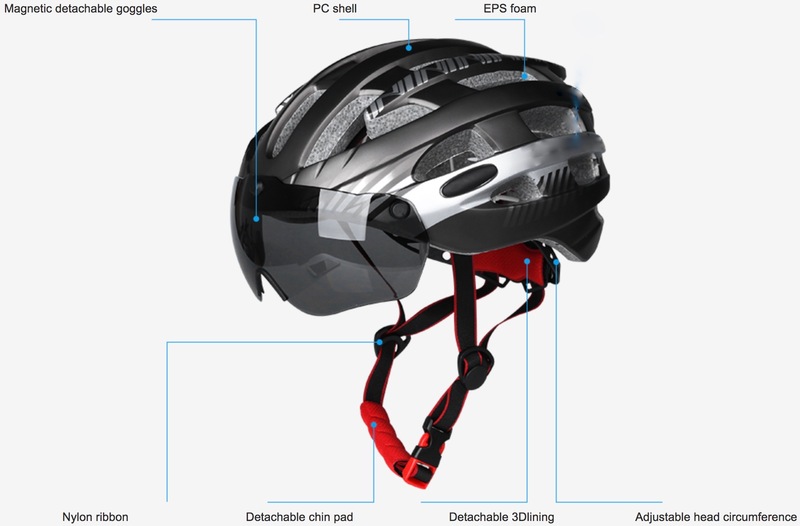 Our all-new MagnaShield Helmet combines safety, innovation and feather-like weight to deliver a superb bicycle helmet. 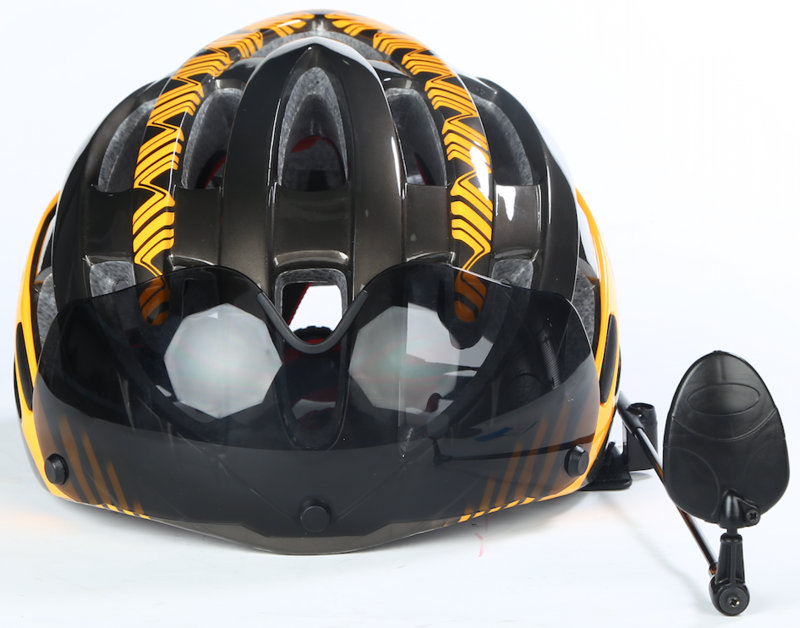 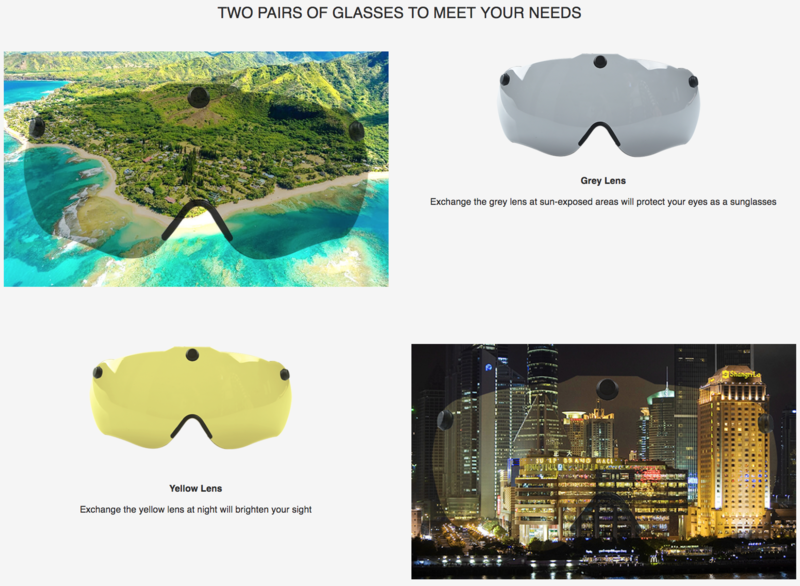 Each SGS Safety Certified helmet comes with a magnetic grey lens for sunny days, a yellow lens for low light conditions, and a super-bright, 3-mode rear light! 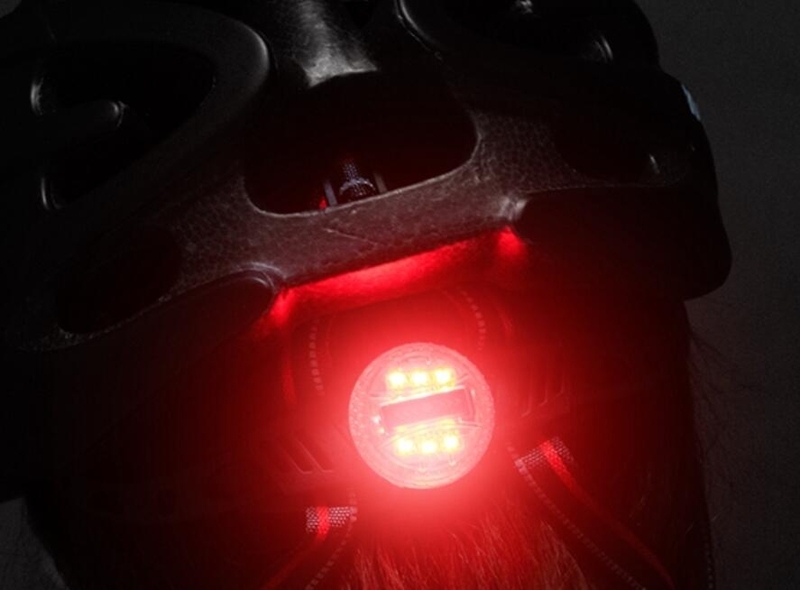 Helmet includes a bright, battery-operated rear safety light with 3 modes. 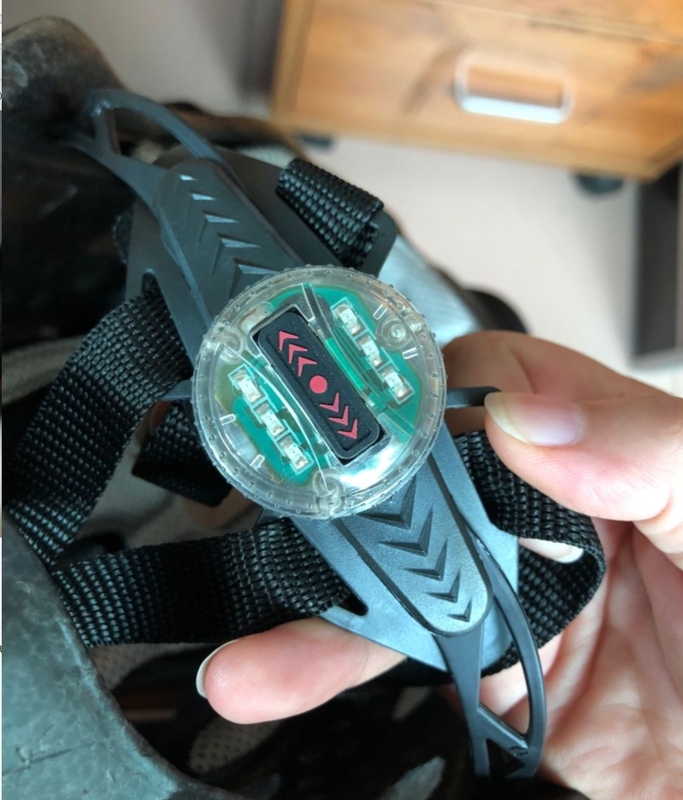 Light can easily be removed when not in use. 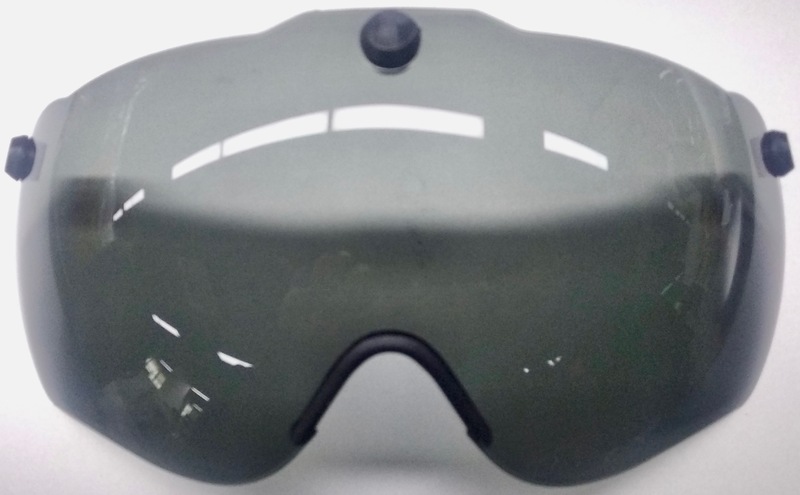 *Add our Navigator Helmet Mirror to your MagnaShield Helmet for the ultimate safety combination!